There’s no denying it – we are surrounded by political fighting. From attack ads on television, robo calls at home and Facebook posts from our friends – everywhere we turn, we see one side of the aisle trying to destroy the other side. It’s easy to sit back and wonder if the political system can ever pause and reflect on the good things happening in society. For that to happen, and for it to happen for Kairos, is a truly a blessing! 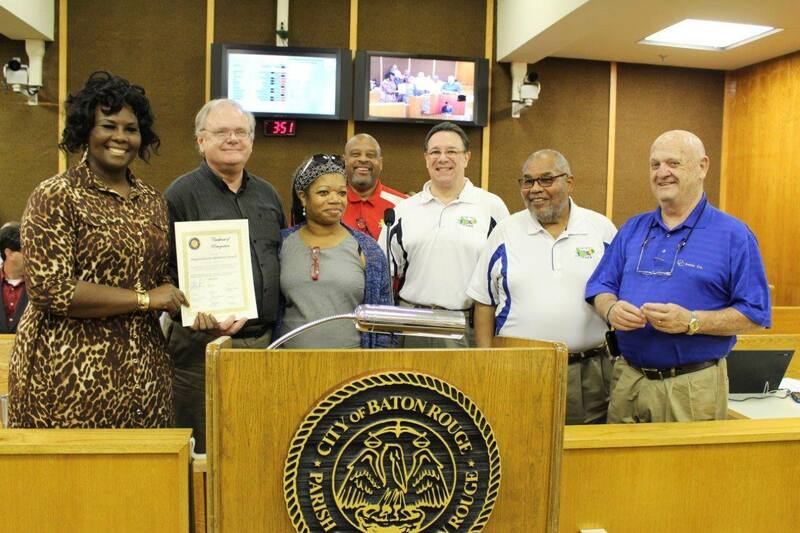 This past week, members of the Advisory Council attended an East Baton Rouge Parish metro council meeting where they happily accepted acknowledgement from the Council and specifically from Councilwoman Chauna Banks, a past Kairos volunteer herself. You might be wondering how this happened. It happened when Angola Kairos volunteer Kathy Michael did what we are all called to do for Kairos, recruit and ask for volunteers, prayer warriors, cookie bakers or even money. Kathy sent a mass email petitioning for assistance and what she received was an invitation to honor Angola Kairos for its 60th team and to recognize the good work we do on behalf of God and through the Holy Spirit. Councilwoman Banks also added the recognition to her Facebook page. Kathy’s example should be a model for all of us in the Kairos community – ask, you’ll never know what you’ll receive!